The CBOE SKEW index, commonly referred to as the ‘black swan’ indicator, just spiked to the highest level in the indicators 25-year history. The SKEW is calculated by the Chicago Board Options Exchange (CBOE), the same exchange that publishes the VIX. Like the VIX, the SKEW is calculated from prices of S&P 500 out-of-the-money options. The SKEW Index basically attempts to quantify the odds of a black swan event (or S&P 500 tail risk). CBOE identifies a black swan event as a two or more standard deviation move below the mean. According to the CBOE, the black swan risk is negligible at a reading of 100. At 115, the risk is 6%, and at a level of 135, the risk of a black swan event is 12%. On Thursday the SKEW was at 151.22. What is a Two Standard Deviation (Black Swan) Event? Perhaps the easiest way to understand a two standard deviation event is with the help of Bollinger Bands. The common default setting of the upper and lower Bollinger Band is two standard deviations above or below the 20-day SMA. The current spread between the S&P 500 20-day SMA and the Bollinger Bands is around 85 points (4%). How Accurate is the SKEW? The chart below captures the SKEW’s track record since the beginning of 2007. 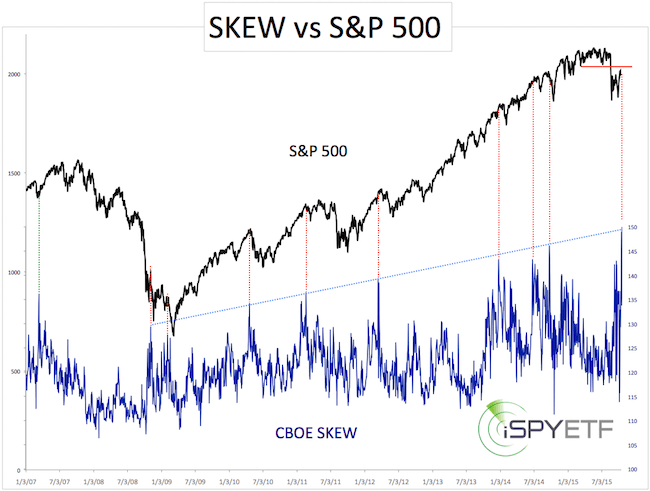 The SKEW has been moving higher since 2008, and it has taken ever-higher extremes to trigger a market reaction. It stands to reason that any stock market pullback (or black swan event) will not be commensurate to the 25-year SKEW extreme. The S&P 500 almost always reacts to SKEW extremes. Either it 1) pulls back almost instantly or 2) eventually gives back several days/weeks worth of gains. Best on the SKEW, there’s elevated risk of an upcoming pullback, especially around S&P 2,040. Every once and a while it’s a good idea to check equity money flows, kind of like a GPS for what the money is doing. Here’s a series of three charts to help us do just that. In March, exposure to stocks (according to the American Association for Individual Investors asset allocation survey) soared to the highest level since the 2007 financial crisis. This sounds scary, but the long-term asset allocation chart helps put things into perspective. Leading up to the 2000 market top, investors had up to 77% of their portfolio in stocks, and up to 69% in 2007. 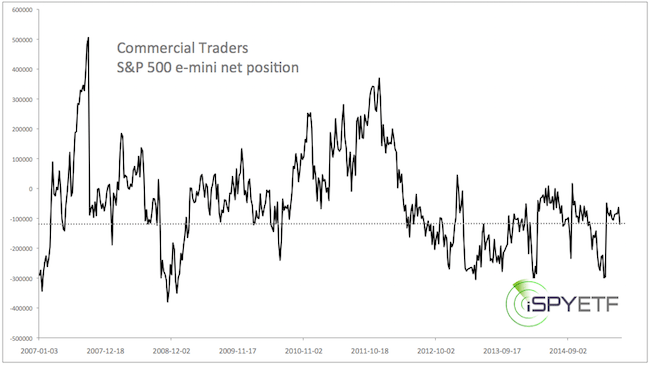 The chart below shows the net S&P 500 e-mini futures contracts held by commercial traders. On balance, commercial traders are more or less neutral. CBOE SKEW: The SKEW was designed to measure the risk of a ‘Black Swan’ event. Higher SKEW = higher risk. CBOE Equity Put/Call Ratio: This ratio shows to what extent option traders favor call options over put option. Lower readings = more optimism = more risk. CBOE Volatility Index (VIX): The mix shows the market’s expectation of 30-day volatility. Lower VIX = Elevated risk. The VIX has lost much of its contrarian indicator mojo starting in 2012. The CBOE SKEW (5-day SMA to smooth out daily swings) is near the lower end of a two-year range. The CBOE equity put/call ratio dropped to 0.46 yesterday, a 1-year low. The 5-day SMA is not as low, but still at the lower end of an eight-month range. Money is flowing into equities, but there are no screaming investor sentiment extremes. Anyone claiming that stocks will crash because any one single sentiment gauge is at financial crisis levels is taking things out of context. 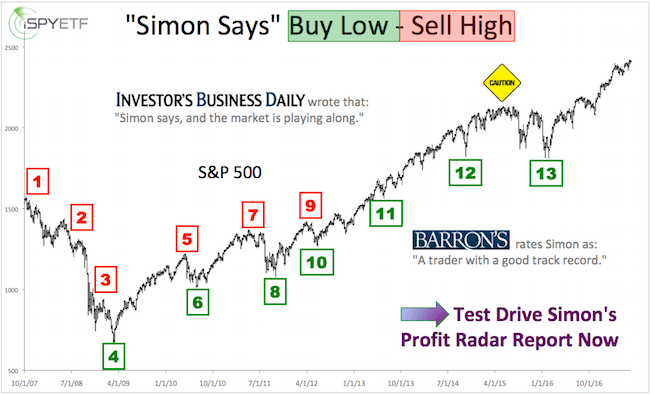 Detailed investor sentiment analysis is available to Profit Radar Report subscribers. Many times catchy headlines do not deliver any content even remotely as interesting as the title. But this catch headline is backed up by one of the most accurate stock market indicators in recent years. What’s the ‘Black Swan Canary?’ It’s the CBOE SKEW Index. The SKEW Index is calculated by the CBOE. The CBOE, the same outfit responsible for the CBOE VIX. According to CBOE, the SKEW Index is designed to measure the tail risk (= risk of outlier returns two or more standard deviations below the mean) of the S&P 500. The SKEW Index basically estimates the probability of a large decline or ‘Black Swan’ event. Similar to the CBOE VIX or VIX Volatility Index (NYSEArca: VXX), the price of the S&P 500 (NYSEArca: SPY) tail risk is calculated from the price of S&P 500 out-of-the-money options. The SKEW typically ranges from 115 to 135. Readings of 135+ suggest a 12% chance of a large decline (2 standard deviations). Readings of 115 or less suggest a 6% chance of a large decline. 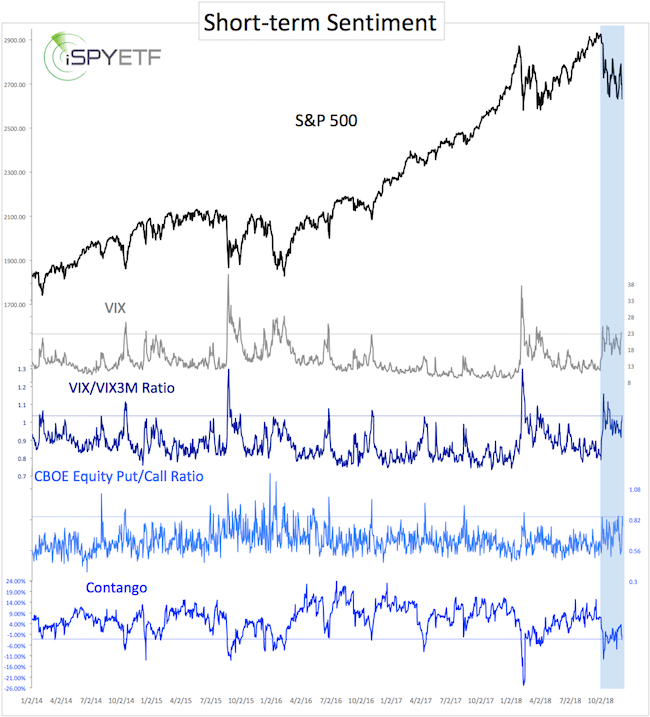 The highest SKEW reading was recorded on October 16, 1998 and was matched by last Friday’s spike to 146 (the chart below was originally published in Sunday’s Profit Radar Report). The SKEW has established a sequence of higher highs. It has taken progressively higher SKEW readings to get the S&P 500 in trouble (134 in April 2010 was enough to ‘cause’ the ‘Flash Crash’. 143 in December 2014 only led to a minor eventual pullback). Nevertheless, an elevated SKEW has tripped the S&P 500 (at least to some extent) every time. If this track record continues, Friday’s SKEW spike should cause some choppiness. Although the 2010 and 2011 corrections were quite nasty, the label ‘Black Swan Index’ has been misleading in recent years. This time may be different, but the SKEW has been one of the most accurate indicators in an environment that’s fooled many other trusted gauges. The SKEW suggests a bumpy ride ahead with limited gains and elevated risk. 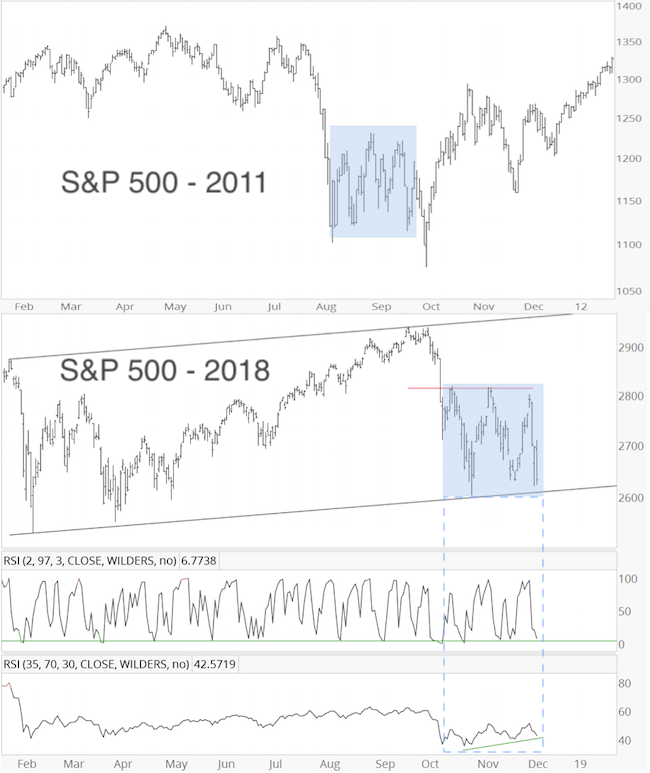 I always recommend looking at more than one indicator (I personally monitor various indicators from three different categories: Sentiment, seasonality and technicals). The SKEW’s meaning is nicely enhanced by a simple Dow Jones (NYSEArca: DIA) chart. Right now a rare Dow formation offers clear levels of ruin and opportunity. The Chicago Board Options Exchange (CBOE), the same outfit that formulated the VIX, also calculates the odds of a ‘two standard deviation decline,’ or large sudden drop. This ‘sudden drop’ index is at a historic extreme. What is the ‘sudden drop’ index? It’s the CBOE SKEW Index, calculated by the Chicago Board Options Exchange (CBOE). The CBOE also formulated the SKEW’s more popular cousin, the VIX. According to CBOE, the SKEW is designed to measure the tail risk of the S&P 500. Tail risk is the risk of outlier returns two or more standard deviations below the mean. Some call this a ‘Black Swan’ event or simply a sudden drop. Similar to the VIX, the price of the S&P 500 tail risk is calculated from the price of the S&P 500 out-of-the-money options. The SKEW typically ranges from 115 to 135. Readings of 135 suggest a 12% chance of a large decline (2 standard deviations). Readings of 115 suggest a 6% chance of a large decline. What is the SKEW’s track record? SKEW Index data extends back to January 1, 1990. 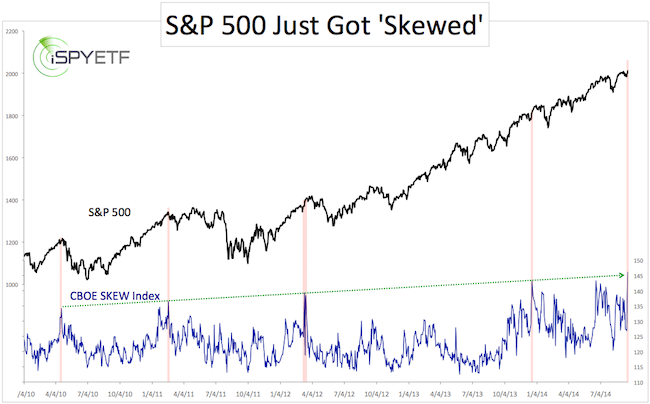 On June 20, 2014, the SKEW spiked to 143.26, the second highest level in its history. Is this reason to worry? The chart below plots the S&P 500 against the SKEW. The red bars highlight prior readings above 135. Although the highest reading in the SKEW’s history (146.22 on 10/16/1998) did not have any ill effect on the market, the SKEW has been a trustworthy indicator since the beginning of the QE bull market. According to the SKEW, the odds for a swift decline are near a historic max. 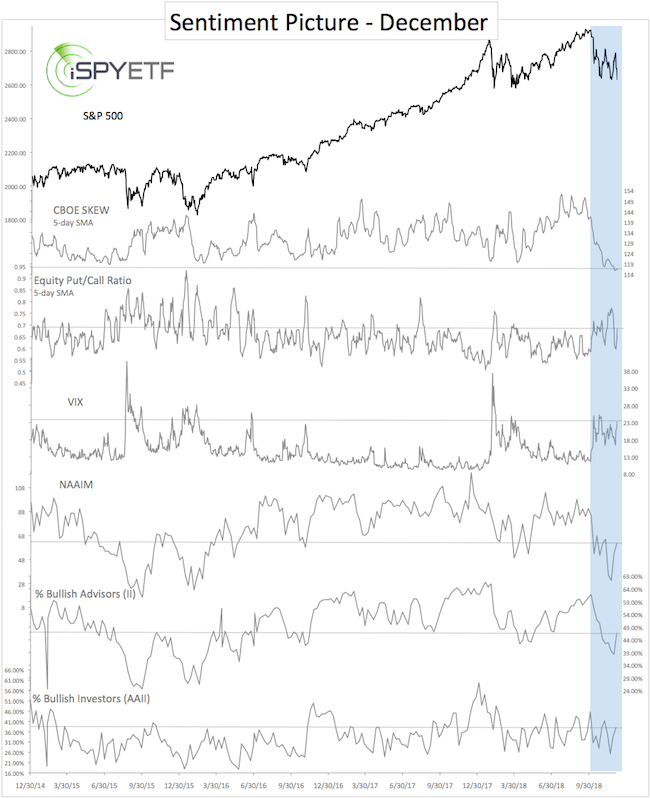 However, the bearish SKEW should be balanced with the indicator that foresaw a persistent S&P 500 (NYSEArca: SPY) rally without correction months ago. Did the Strong 2013 Market Cannibalize 2014? 2013 ended on a high note as the S&P 500 closed at the highs for the year and so did investor sentiment. 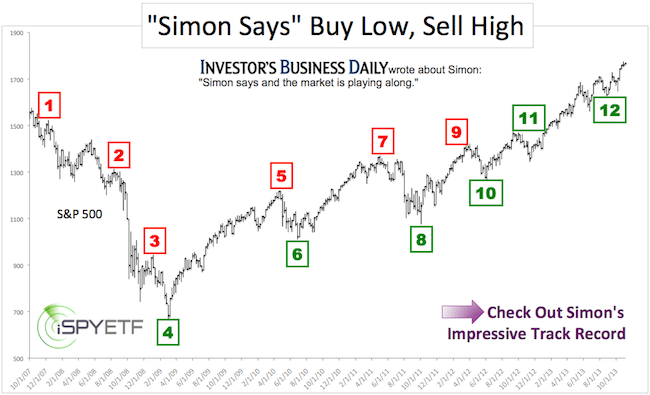 So many investors are bullish; it’s worth asking how many buyers are left? Did the 2013 gains cannibalize 2014 performance? 2013 is in the bag and I’m probably not the first one to tell you that it was the best annual performance for the S&P 500 since 1997. But that’s in the past, here’s what’s important today: Did the 2013 strong S&P 500 mortgage 2014? This probably depends on how many buyers are still out there. A stock market without new buyers fizzles out like a fire without wood. Are there enough buyers left to drive prices higher in 2014? To filter out some of the noise created by six years of daily data, I’m using the 10-day simple moving averages (SMA) for the CBOE SKEW Index (click here for a detailed explanation of the SKEW Index) and CBOE Equity Put/Call Ratio. 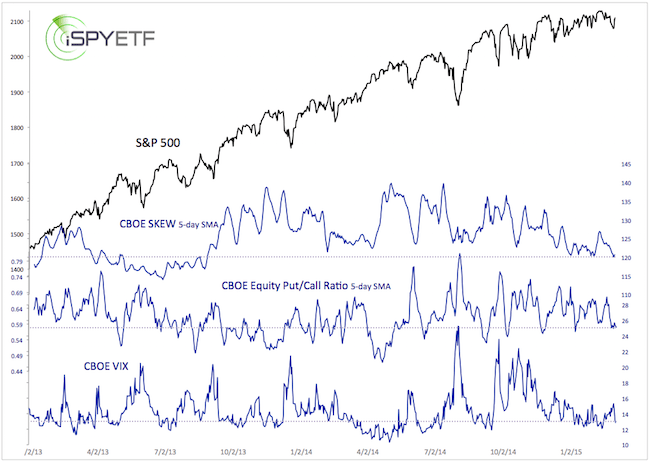 The put/call ratio has been inverted to provide a better visual. How committed are investors to the current rally? The SKEW is at a 15-year high. 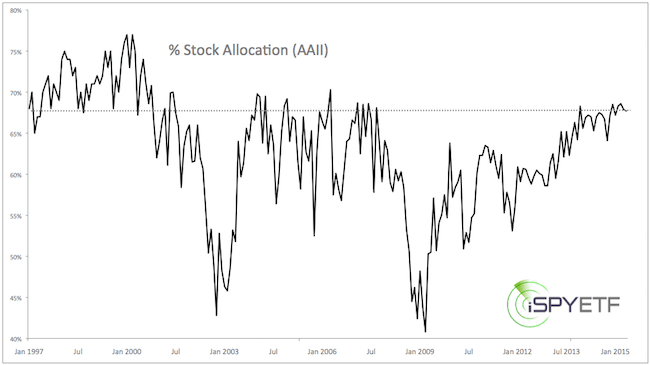 The percentage of bullish advisors is nearly as high as in October 2007. The put/call ratio is the lowest since December 2010. Individual investors are the most bullish in two years. In short, buyers are already committed, which means there are not many individual buyers left (of course the Federal Reserve is still out there). 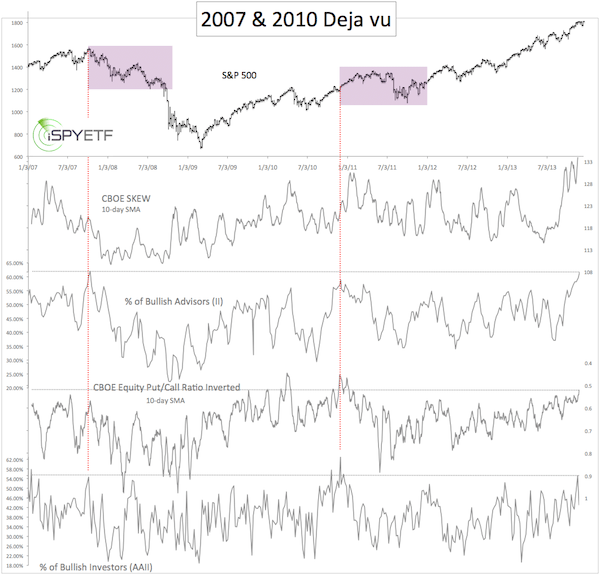 Sentiment was equally frothy only twice in the past ten years: October 2007 and December 2010 (purple boxes). We all know what happened in 2007. 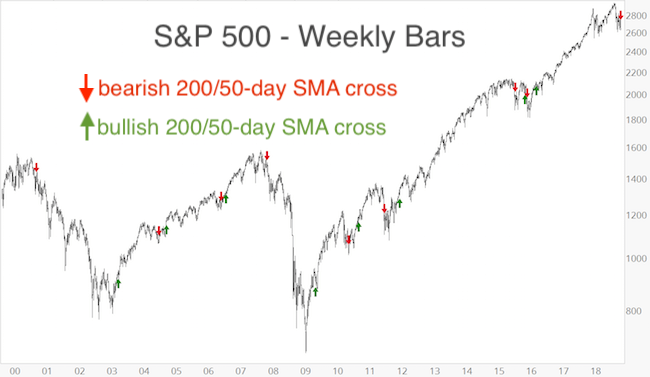 In 2010 the S&P 500 (NYSEArca: SPY) and Dow Jones (NYSEArca: DIA) continued higher for several weeks before giving back a year’s worth of gains in a matter of weeks. At this point we do not know how much upside is left (I believe it’s limited), but that there should be a correction, quite possibly a nasty correction, in the not so distant future. Rather than hitting the sell everything button right now, it may be smarter to equip equity holdings with a trailing stop loss. This allows you to milk the upside and limit down side risk. The most effective stop-loss levels for stocks in general, and Dow Jones in particular, is revealed here. It’s so effective; I call it legal insider information. Can the S&P 500 Rally another 20%? The S&P 500 just gained 100 points in 10 days. 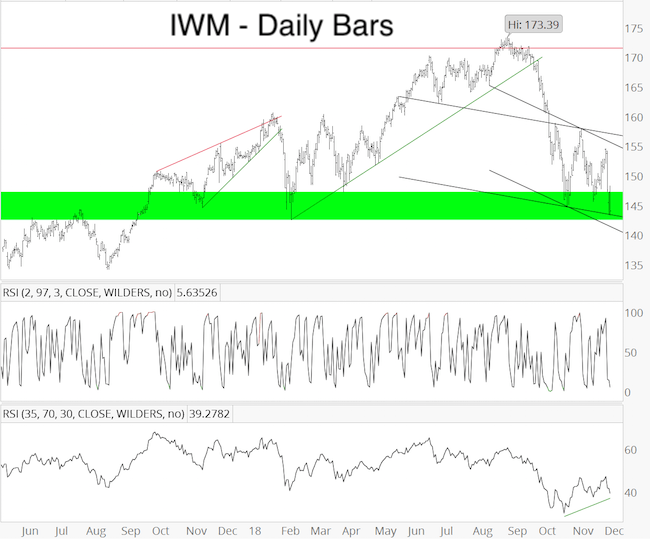 Some suggest that further gains from an overbought condition are unlikely. 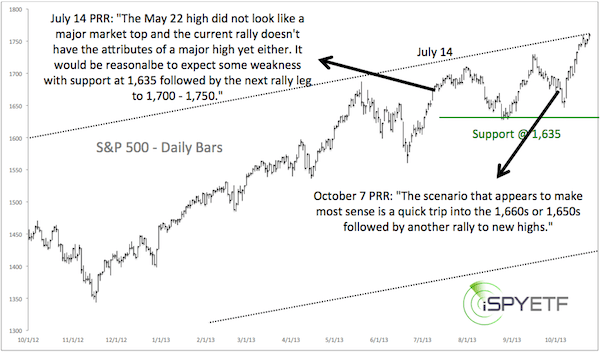 This may well be correct, but with or without correction, can the S&P 500 rally another 20% from here? I’m not an economist and I’d like to think that I’m no madman, but I’m starting to warm up to the idea of another sizeable rally leg. This is partially because QE wasn’t around when Kenneth Boulding, an economist born in 1910, uttered the above words. 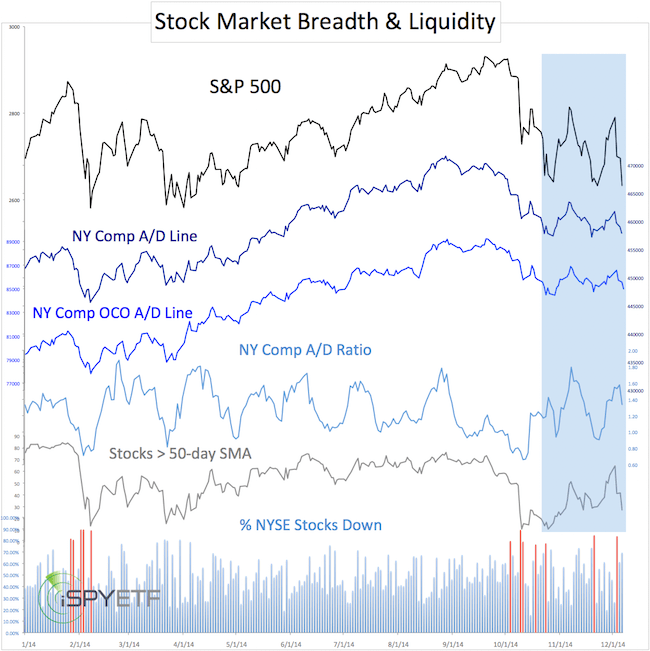 Although absurd when considering the economic backdrop, based on a factual and objective examination of the S&P 500 (NYSEArca: IVV) chart and investor sentiment, considerably higher stock prices are possible, even likely. Stocks are nearing an overbought condition, isn’t now the wrong time to talk about another 20% rally? The timing of this discussion is based solely on the fact that the S&P 500 (NYSEArca: SPY) has reached my long-term target around 1,750. 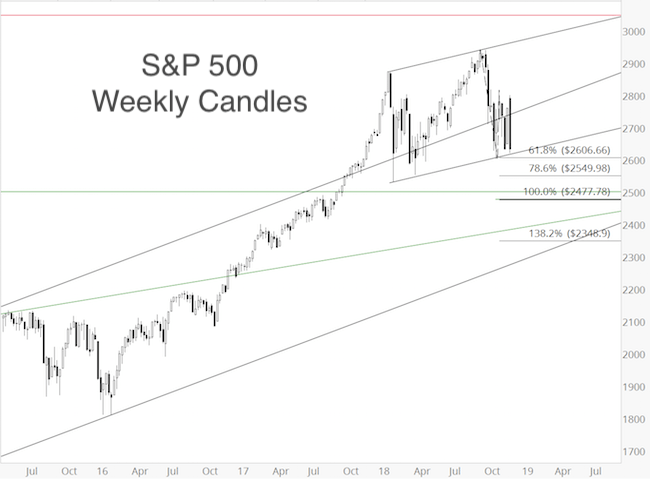 The S&P 500 chart below shows the S&P trading as high as 1,765 and Monday, tapping the upper trend channel line and capturing my long-standing target for this rally. 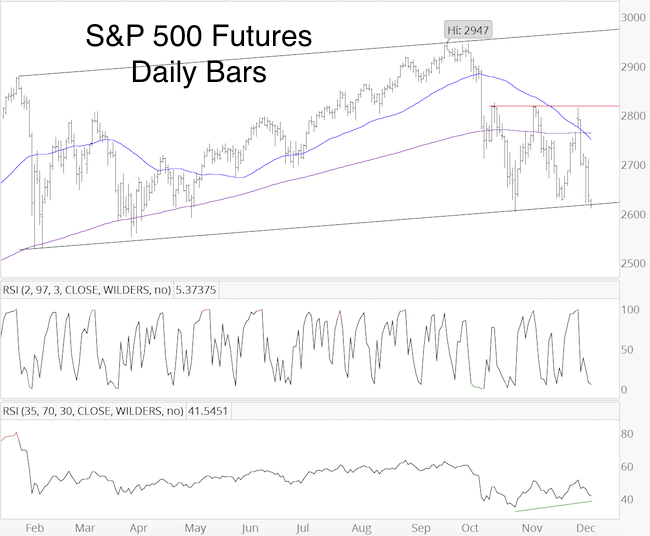 If this trend channel is going to repel the S&P 500, it needs to do so soon. Otherwise ‘persistence wears down resistance.’ Persistent trade around current levels increases the odds of higher prices. Based on Templeton’s rhetoric, bull markets have four stages: Pessimism, skepticism, optimism, and euphoria. For good reason the artificial QE bull market has been called the ‘most hated rally ever.’ Not a day goes by without banter against the Federal Reserve or Ben Bernanke. Everyone and their grandmother knows that the Fed can’t print an economy out of trouble and that this experiment will end badly. There’s no scientific way to prove this, but skepticism seems to be the predominant emotion of the market’s current stage. However, to keep this analysis objective, we need to mention some rather bullish sentiment readings that popped up lately. Bullish sentiment readings (bearish for stocks) include the equity put/call ratio, bullish asset allocation of Rydex traders, near record-high margin debt and perhaps, most importantly, a very elevated SKEW Index reading. 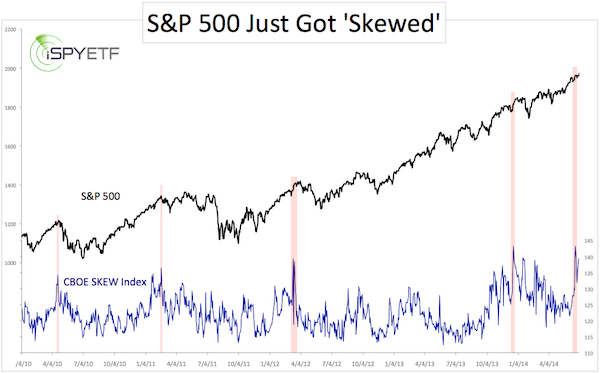 The SKEW Index was created by the makers of the VIX and – unlike the VIX (NYSEArca: VXX) – has been a trusted indicator this year. 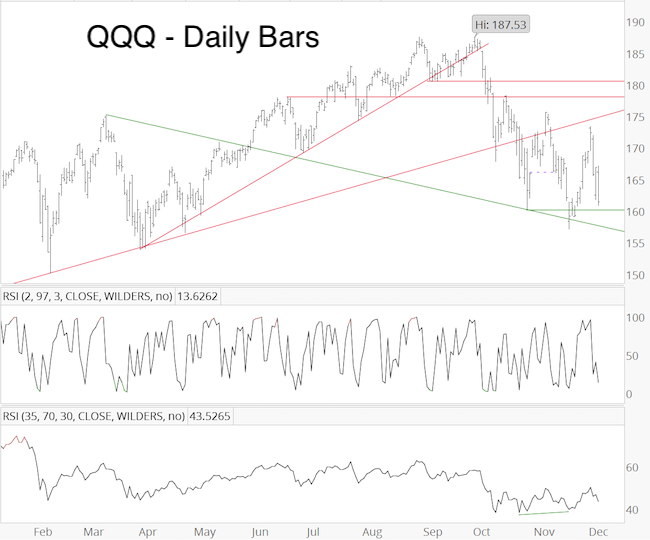 I personally believe that QE has changed the dynamic and the meaning of pretty much all sentiment gauges, but I also believe that understanding the composite sentiment picture holds the key to identifying the next investable low and the major top so many investors are waiting for. Profit Radar Report subscribers know that I’ve been chronicling various sentiment indicators and actual money flow gauges for a long time. The correct interpretation of investor sentiment has kept us on the right side of the trade since the beginning of the year. 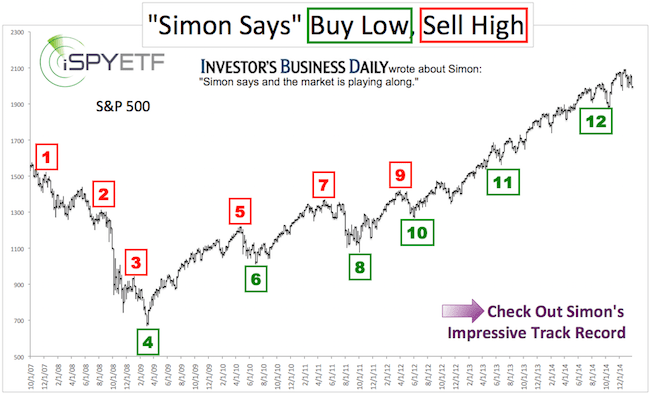 Follow Simon on Twitter @ iSPYETF or sign up for the FREE Newsletter.